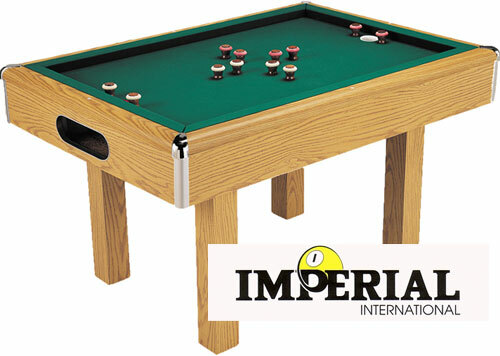 The Imperial Non-Slate Bumper Pool Table is an inexpensive way to enjoy a fun game of Bumper Pool with the entire family. This is a regualtion size table with a plywood frame and rail construction. It comes with cloth installed on the bed and rails, so the only assembly required would be to bolt on the legs. It's easy to set up and is ready to play. Regualtion Size: 32" x 48"
The Imperial Slate Bumper Pool Table is a great way to enjoy an exciting game of bumper pool with the entire family.